Jewels buried in a grave, cigarettes smoked in $100 bills, champagne poured into a bathtub— these perverse, irrational acts are also somehow thrilling. 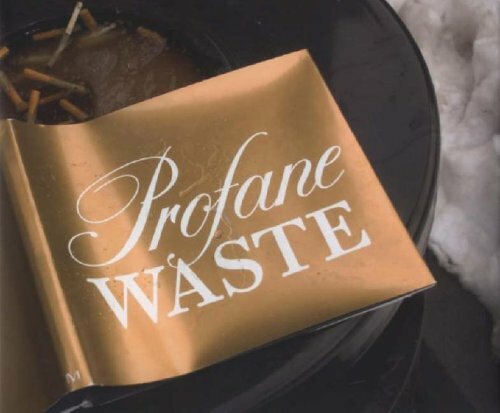 Profane Waste explores the workings of an unacknowledged taboo: the taboo against willful dissipation. Dana Hoey, an acclaimed photographer appearing here in her first book, presents a series of 30 haunting images that are at once ultra-real and uncanny. Bestselling biographer and social critic Gretchen Rubin uses lucid analysis and explosive examples—the actions of Rauschenberg, Jesus, Ivan Boesky, Thoreau and Goebbels, among others—to demonstrate the power of the title concept. Together, Hoey’s photographs and Rubin’s provocative arguments create a shock of recognition: they lay bare intentions that stand outside the conventional goals of acquisition and accumulation.